Empfohlen ab 18 Jahre. Anniversary. Sprache: Englisch. 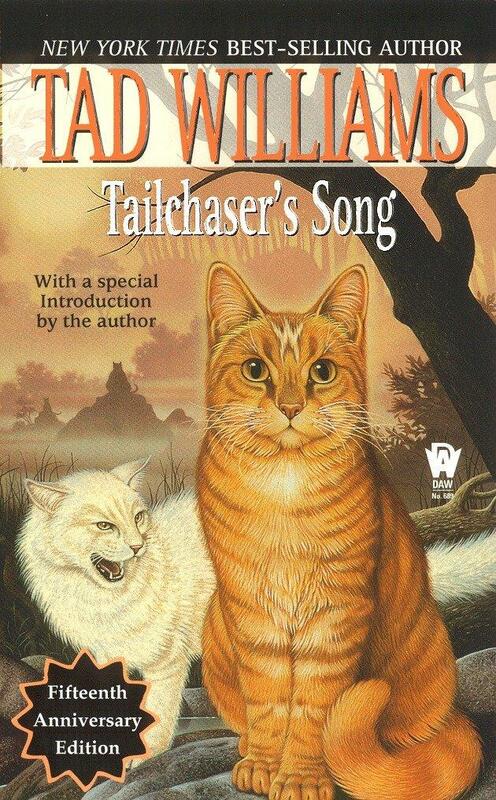 Fifteen years ago, a young author surprised and enchanted readers with his first novel-the story of Fritti Tailchaser, a courageous tom cat in a world of whiskery heroes and villains, of feline gods and strange, furless creatures called M'an.The book was Tailchaser's Song, the author was Tad Williams.The legend was born. Tad Williams has held more jobs than any sane person should admit to—singing in a band, selling shoes, managing a financial institution, throwing newspapers, and designing military manuals, to name just a few. He also hosted a syndicated radio show for ten years, worked in theater and television production, taught both grade-school and college classes, and worked in multimedia for a major computer firm. He is cofounder of an interactive television company, and is currently writing comic books and film and television scripts as well. Tad and his family live in London and the San Francisco Bay Area. You can find Tad Williams at tadwilliams.com.